Progel have released this gorgeous collection inspired by the Champs De Lavande, the gorgeous violet fields of lavender in France. They are all gorgeous dusky shades and will be universal to wear. These shades add a hint of tranquility to a highly pigmented gel formula that lasts for weeks. Shade: A washed out navy blue. 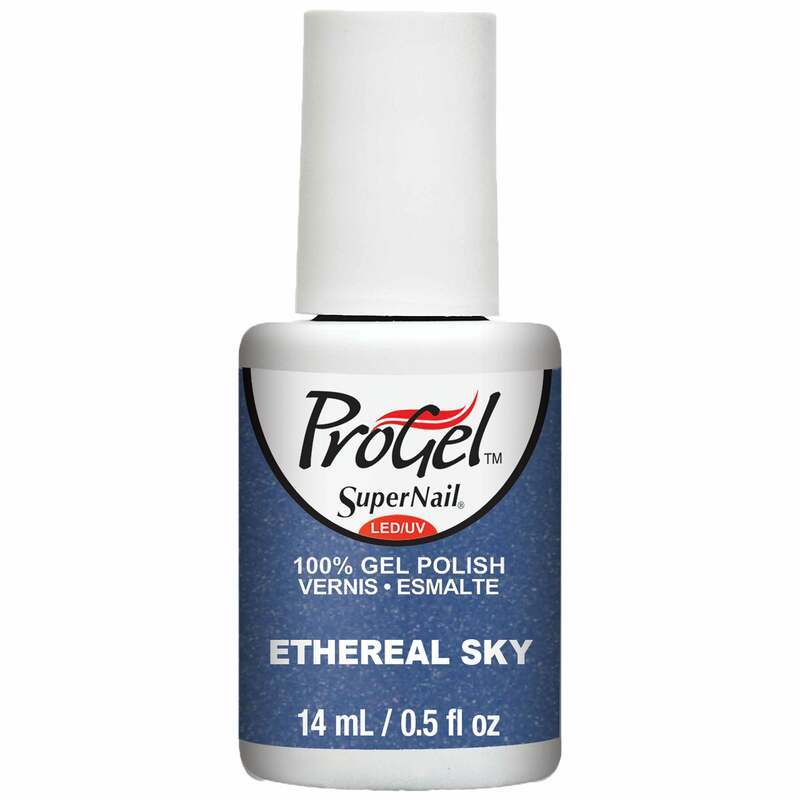 SuperNail ProGel 100% Gel Polish is quick and easy to apply. Professional products that can be used at home allow you to create a super strong, shiny nail colour that lasts for weeks. ProGel 100% Gel Polish Outwears any regular lacquer by weeks. Natural nails receive ultra protection. Cures under LED/UV Lights quickly and can be soaked off in 10 minutes without any filing. ProGel are a well known Salon quality brand that is available to salons and retail so you can use these products at home and quick, easy Gel Nails yourself. ProGel have been industry leaders in the nail care industry for almost 40 years and are always expanding with new collections trying to make each season an easy choice for your nails. ProGel 100% Gel Polish does not harm your natural nails as much as any other Gel at home Polishes available, and it is so easy and looks amazing once applied why wouldn't you chose ProGel.